Balcony views, comfortable budget stay. All house common modern amenities. This cozy apartment in the village is only 20 meters from the sea and next to an organized beach named Chaliki. The house can accommodate up to 5 people, 2 in the spacious double bedroom, 2 in a convertable sofa to bed and 1 in an extra bed that must be asked from home owner. It has 2 balconies one with sea view with lounge furniture and one with street view. There is also a common balcony area with two other apartments. The living room is air conditioned, it has a flat screen TV and internet wifi is available. The kitchen is fully equipped with common modern amenities. 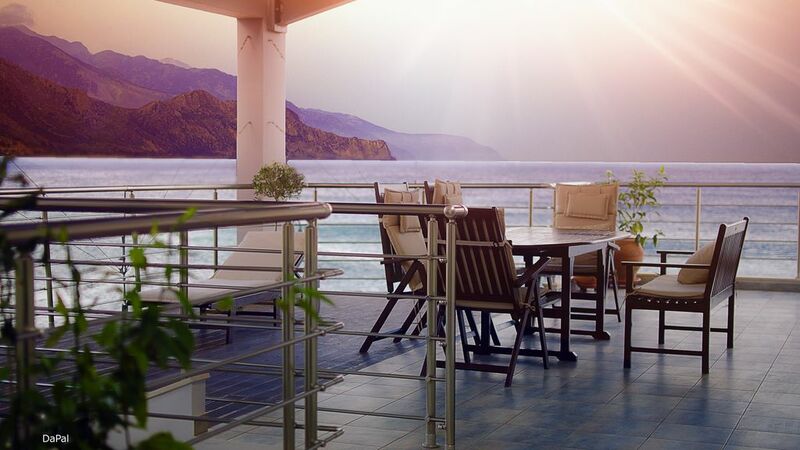 The apartment is at Paleochora village, a famous summer destination in Crete that attracts thousands of visitors every year. It has supermarkets, shops, bars and restaurants within a walking distance. Moreover a boat organizes day trips to Agia Roumeli, Loutra, Sfakia and Gaudos island. There is a 10% long stay discount for stays longer than 10 days. We will be there to help any time you need us in case of emergency or if you are looking for a good restaurant. We stayed here for a week and found it very spacious, extremely clean and relaxing. A few small things would have gained it 5 stars - some water in the fridge, some salt, pepper and oil. But easy to put right. We especially appreciated the owner responding quickly to messages and sending us lots of helpful information. A very high standard of accommodation and Paleochora is delightful. It was our pleasure having you as a guest at Gonis Apartments in Palaiochora. We wish you a nice summer and we hope to see you again in one of our properties. A boat organizes day trips to Agia Roumeli, Loutra, Sfakia and Gaudos island.